Spark Gallery presents diverse and dynamic art exhibits in its galleries, located in the Art District on Santa Fe. 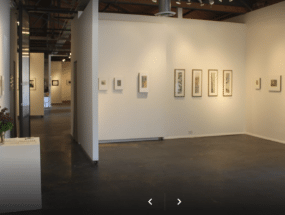 Started in 1979, Spark is the oldest cooperative gallery in Denver. 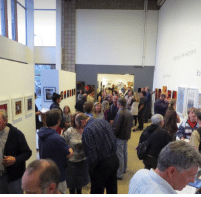 Members of Spark Gallery cooperative exhibit locally in juried exhibitions such as The Cherry Creek Arts Festival, North American Sculpture Exhibition, and All Colorado Art Exhibit, as well as nationally and internationally. Members work in sculpture, drawing, painting, collage, found objects, embroidery, assemblage, encaustic, installation, ceramics, and photography. 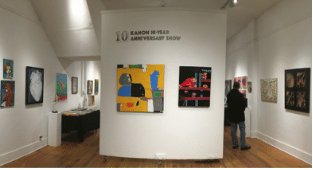 Kanon Collective is an artist-owned and operated gallery located in the heart of Denver’s Arts District on Santa Fe, featuring the work of a dynamic group of local artists. Each month features new works by each artist in mediums ranging from oil painting and sculpture to mixed-media, photography, and installations. While each artist differs in his or her own personal style, the gallery is unified along colorful and contemporary lines. Kanon embraces artistically diverse perspectives and supports innovative and experimental styles, allowing each artist to choose what they display. Because all artists in the gallery are responsible for the gallery and its operations, all profits from sales go to the artist. This keeps artwork priced reasonably for the public and profitable for the artist. Valkarie Gallery & Studio\'s vision is to be a community showcasing unique and talented artists in an open and friendly environment. They are an artist collective, though, they feel more like a family (one where you actually get to pick who your family members are). They are an eclectic group – not just in their artistic styles but through their backgrounds, ages and lifestyles. Yet, they all love being part of the community of artists here at the Valkarie Gallery. Besides their main gallery shows and resident artists’ gallery, they also offer spaces for guest artists each month. And if you feel like being creative in a casual group, almost every Thursday from 5 – 9:30pm they have a drop-in open house creative night for the community. 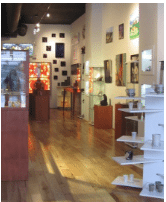 Gallery 1505 represents local emerging and mid-career artists working in a variety of media, including a wide selection of handmade jewelry, ceramics, paintings, woodcrafts, mixed media, and more. Gallery 1505 is an ideal source for customers seeking a unique gift or a beautiful work of art to add to a collection. Purchasing art from Gallery 1505 supports local artists and businesses. Gallery 1505 is open during the First Friday Art Walk, various openings throughout the month, including Sunday Farmer’s Markets. 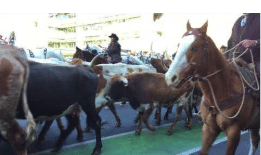 The premier livestock, rodeo, and horse show in the nation, serving agricultural producers and consumers throughout the world and one of Colorado’s preeminent tourist destinations, held every January for 16 days and kicks off with a downtown parade. There are competitions and auctions of breeding animals. You can take in entertaining horse shows and hog shows, dog shows, and mutton bustin. The show also has a petting zoo for kids and a nursery for newborns. If you’re into shopping, this is a hub for everything western wear you could ever want and fine western art. Come hungry! There is a variety of smokers, bbq stands, fair food, sit-down restaurants, and beer bars sprinkled around the grounds, and the food is good! The highlight of the show is a pro-rodeo which includes high action events. 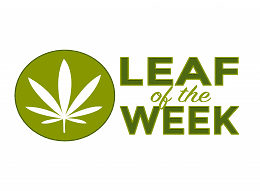 The Denver Zoo is an 80-acre facility located in City Park of Denver with the concept that people should see animals at eye level in natural habitats to using naturalistic zoo enclosures rather than cages where possible without bars or fences. Exhibits include Primate Panorama, featuring huge mesh tents and open areas for apes and monkeys. 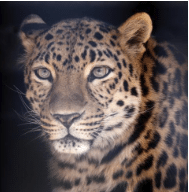 Predator Ridge, which has three separate areas through which animals are rotated so that their overlapping scents, provide environmental enrichment. Bear Mountain is a historic exhibit, on the National Register of Historic Places, one of the first natural-style zoo exhibits in North America, and the first to use simulated concrete rocks. 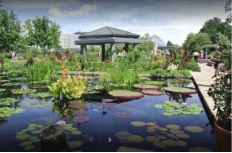 One of the top five botanic gardens in the nation, Denver Botanic Gardens is an oasis in the city. A 24 acre site that illustrates an ever-widening diversity of plants from all corners of the world. Distinctive gardens define and celebrate a Western identity and a unique high altitude climate and geography. Many of the exhibits model drought-tolerance and showcase native and adapted plants that thrive in Western gardens. Picnicking is allowed and encouraged. A great place for children and seasonally changes with an amazing holiday light display! A water park of 67 acres (27 ha), making it one of America\'s largest water theme parks. The park has 49 attractions including a multitude of water slides, a \"lazy river\" (a circular artificial river with a slow moving current), inflatable tube rides, multi-guest inflatable raft rides, and a water-themed fun house which offers gondola access from the top of the park. The park has two wave pools: the new Cowbunga beach boogie boarding attraction, as well as the older Thunder Bay wave pool. 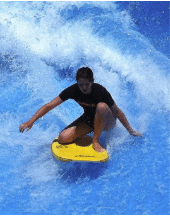 Come and cool off at Denver\'s Water World this summer!